Contact Heather Glen at Ardenwoods’ where our dedicated team is ready to answer any questions you or a loved ones may have about our retirement community in Arden, North Carolina. Our team of experienced professionals is always prepared to provide detailed information regarding queries and general knowledge about our outstanding assisted care, amenities, residences, and services. Please feel free to ask away! 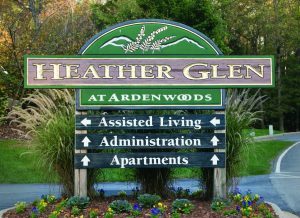 We encourage you to schedule a personal visit to learn more about Heather Glen at Ardenwoods. Please use the form on this page to get in touch with us.